I still hadn’t heard a word back from the casting agency about the movie role I’d gone for, months prior, and I was convinced it was because I was fat. In fact, it had to be that. Otherwise, I was perfect for the role. That was the very reason I was now here, cold, crying and running laps around an athletics track, at a ‘fat farm’. Know who this woman is? It’s Oprah Winfrey. She gave numerous television interviews with journalists, following the news that she’d been offered to play the part of ‘Sofia’ in the movie “The Color Purple” — Her dream role. 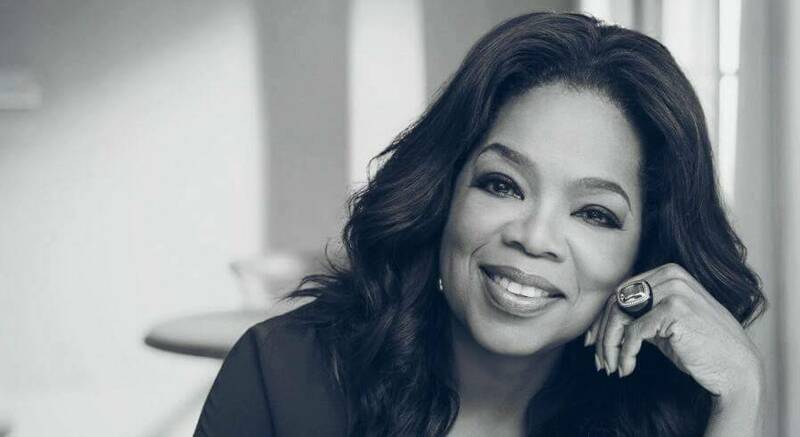 Oprah credits, not only scoring the movie role, but also the success of her entire career to something we all have – a brain. Actually, I lie, she credits ‘positive thinking’ and the law of attraction to her success. Nothing we don’t all have access to, right? Oprah recalls spending months and months visualising herself being an actress and telling anyone who would listen to her that she was going to find a way to be in that movie. She thought about it non-stop, always with optimism and determination. She even recalls reading lines for ‘Sofia’ at her audition, alongside her on screen Husband, “Harpo” and realising that “Harpo” is “Oprah” spelt backwards. Next, she starts singing a song about surrendering and as she finally comes to terms with the fact that she may not have gotten the role, she receives a call from Steven Spielberg himself, saying she’d gotten the part. Oprah says all her months of visualisation, hoping and positive thinking, leading up to this day was the reason she got that part. So what is this hippy, voodoo magic? The law of attraction (L of A) means: what you think about, talk about, believe vigorously and feel intensely about, you will bring about. Yeah, it IS thinking positively, but it’s more than that. Today, scientists know that everything found in the universe is made up of energy. This goes for both physical things and non-physical things, like thoughts. The earth – and everything on it – including you are all currently vibrating at a particular frequency unique to that object or person. We’re all literally in energetic motion. This energy can change depending on what’s going on, and through our own intense emotions, we can raise, lower and even match the vibrational frequencies of objects, situations and people we want to attract. In fact, we can manipulate this energy through our thoughts. Are you currently sitting back, wearing your skeptical, judgy hat, thinking: this chick is surely off her rocker? That’s okay. I’ll change your mind by the end of the article. Or, maybe Oprah, Lady Gaga, and UFC champion, Connor McGregor, will. They all credit their success to the L of A. He was cocky as all hell, but he was also damn convincing. “Music is my life. The fame is inside of me. I’m going to make a no.1 record.” She says: “You repeat it to yourself every day, and it’s not yet, it’s a lie. You’re telling yourself a lie over and over again. And then one day it’s not a lie anymore. The lie is true”. They’re both talking about the Law of Attraction here. Every day we are unconsciously sending out requests to the universe in the form of thoughts, and each thought and feeling carry’s with it a vibrational frequency – to which the universe responds by giving you more of whatever you are vibrating. It doesn’t care whether that request is good or bad for you, it is just responding to you. We need to learn that we are the creators of our current reality and we can and deserve to have everything we want. We just need to be a little more deliberate. this has just changed my idea of positive thinking. i feel elevated on to higher levels of thinking positively and tuning my thoughts towards the reality i seek.